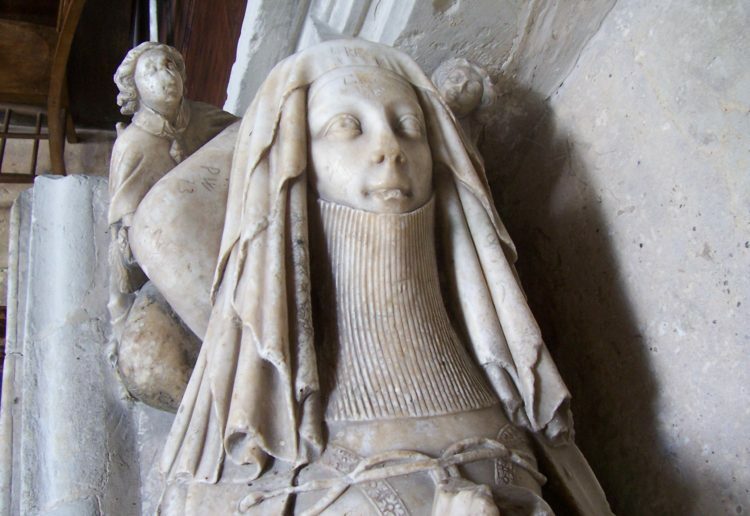 Anne Brodrick & Josephine Darrah: The Fifteenth Century Polychromed Limestone Effigies of William Fitzalan, 9th Earl of Arundel, and his wife, Joan Neville, in the Fitzalan Chapel, Arundel. Studies the conservation of the effigies of the Earl and Countess of Arundel at Arundel in 1980. V & A analysed the paint of the painted raised wax decoration. Describes the two effigies and the careers of the two subjects. Analyses the polychrome decoration. 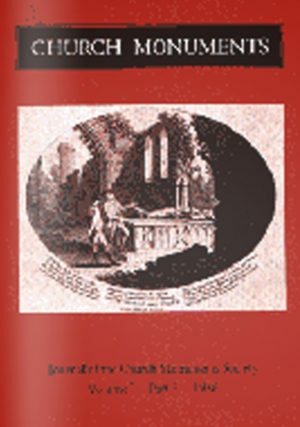 John Lord: Patronage and Church Monuments 1660-1794: a Regional Study. Looks at patronage of monuments in Lincolnshire. Mainly from London workshops. Ben Stocker: Medieval Grave Markers in Kent. Examines a group of 66 medieval grave markers in SE Kent. John Physick & Nigel Ramsey: Katharine Ada Esdaile 1881-1950.